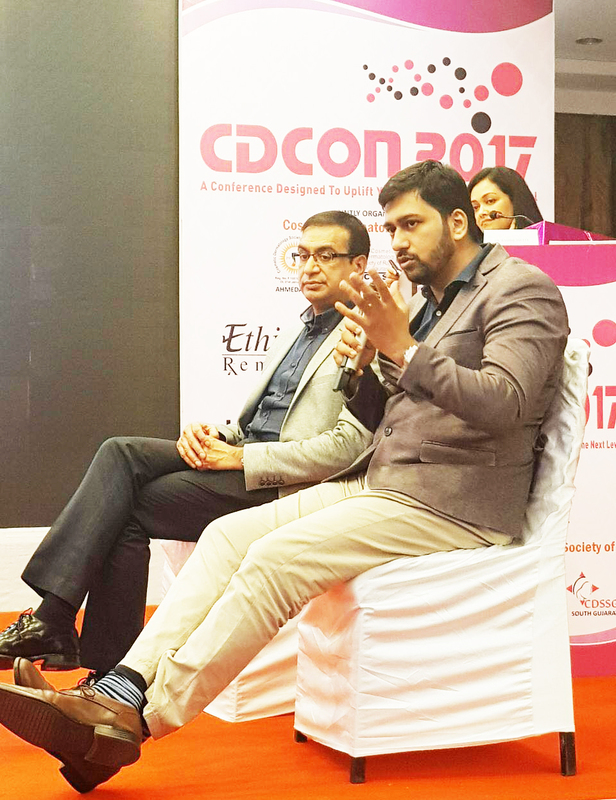 Dr. Abhay Talathi was one of few expert medical professionals who were invited to speak at this year’s Cosmetic Dermatology Conference. 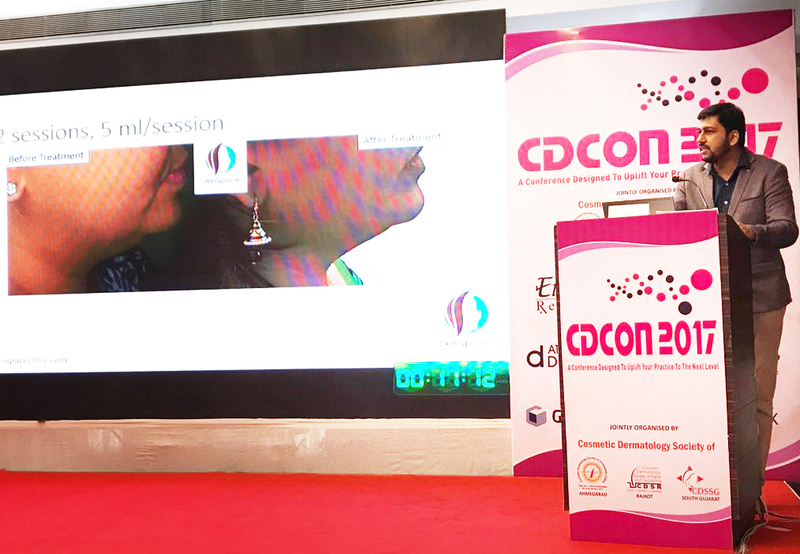 This two-day conference was organized by CDCON in Ahmedabad, and it took place on the 9th and 10th of September. In this conference, first of all, Dr. Abhay Talathi showcased a video detailing upon the innovative method of double chin reduction by using deoxycholic acid. Afterwards, in the panel discussion, he also shared his views upon the modern anti-aging treatment. First, using a marker, the region of the chin, which contains the submental fat, is marked. After that, dots separated by 1-1.5 cm from each other are marked all over that region. .2ml of Geolysis, which contains 10mg/ml of deoxybolic acid, is injected in each of the marked dots using a standard 1ml syringe. Each injection is made at a depth of 6-10mm. A total of 40mg of deoxybolic acid is inserted into the region using four 1ml syringes. 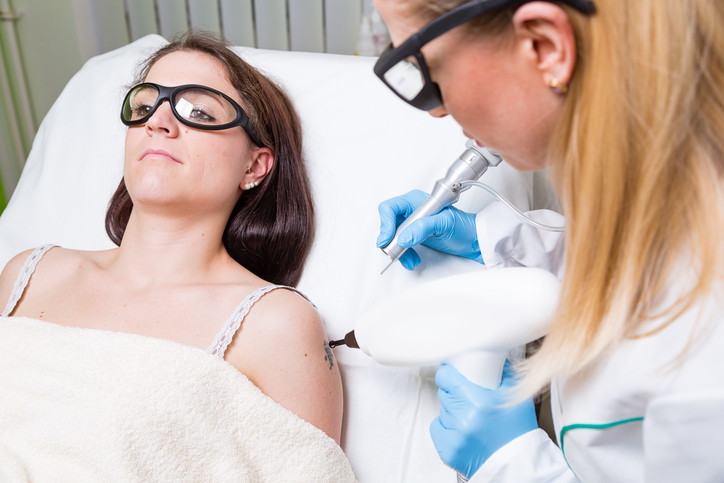 3-4 sessions of this treatment, each separated by a period of 4-6 weeks, are given to the patient for significant results. The treatment might occasionally result in mild pain, swelling, and bruising. But mostly all these side effects are of a reversible nature. And in case, if the patient is not feeling comfortable, anti-inflammatory medicines could be given to him. The event was successful, and more than 400 people attended it. 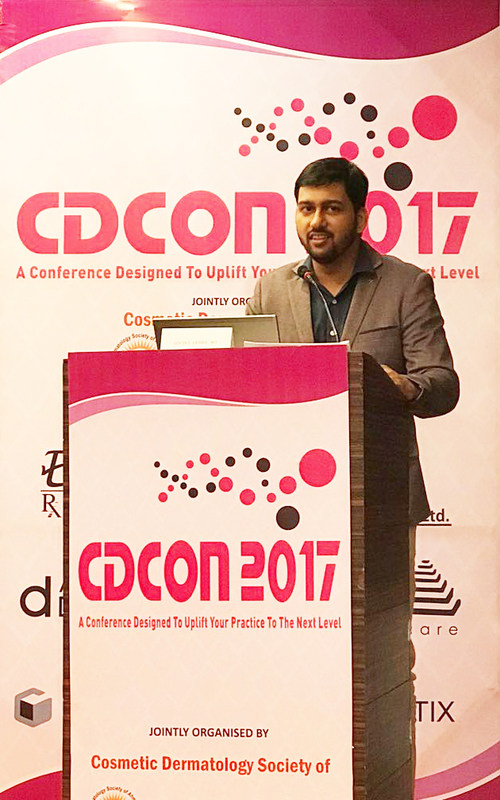 Dr. Abhay Talathi was one of the few doctors who were given the opportunity to speak upon healthcare innovations, and his contribution to the conference was greatly appreciated by all those who were present there.